Savinesh is an 11 year old boy. Savinesh's family does not have their own land to farm which means his Dad works as a labourer for other farmers on wages of a few dollars a day. 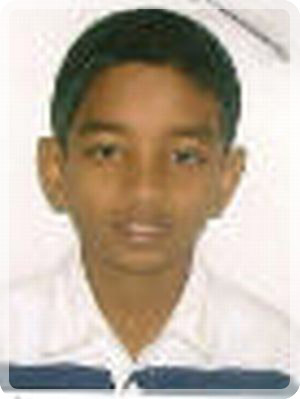 Savinesh enjoys attending school and his favourite school subject is science. Savinesh travels to school each day by bus. When he grows up, Savinesh wants to be a mechanic. Savinesh is very committed to his studies and financial assistance will be a great motivator. Merelita now receives the education every child deserves.